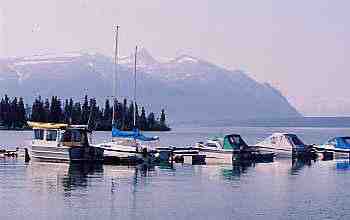 While in Whitehorse, we took a few side trips, The harbour down at Atlin was beautiful, but again the smoke haze hid the mountains in the distance. 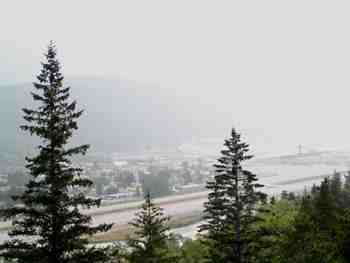 We also drove down to Skagway and again the smoke hid the view. 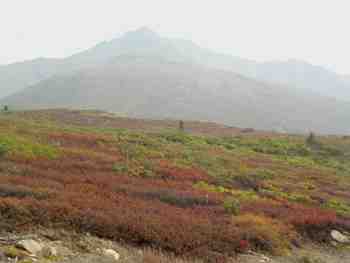 After leaving Whitehorse, we spent a couple of days in Carmacks. 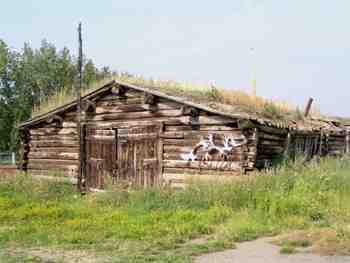 This is one of the buildings there that is being preserved. We were lucky enough to see a grizzly sow cross the highway in front us. She had two cubs with her but the three of them got into the brush before we could be the cameras out. Heading north, we drove part way up the Dempster highway but again the smoke was so thick that there was not much point in taking a lot of photos. 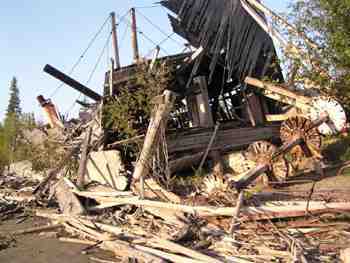 Across the river from Dawson City, is the graveyard of the paddlewheelers where a number of the boats have been run up on the shore and left to decay. 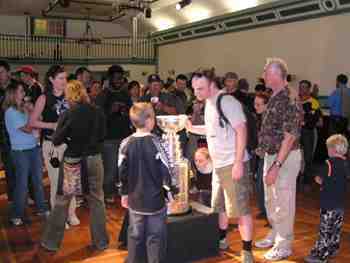 When we got to Dawson, we saw a sign saying that the Stanley Cup was in town so we just had to go inside and get a photo of it. 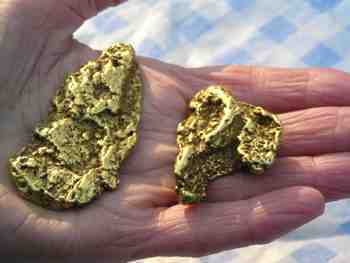 We didn’t have any luck panning for gold but here are a couple of gold nuggets that we saw in the campsite. 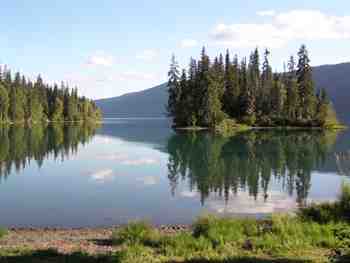 Heading back down the Cassiar Highway on our way home, we camped for a couple of nights at Meziadin Lake. 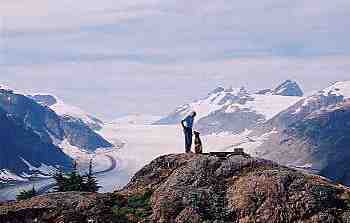 Bear Glacier is part way down the road to Stewart. 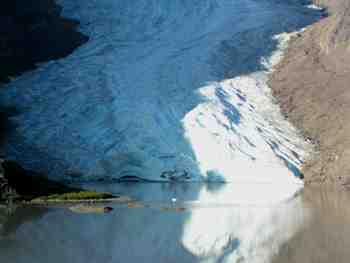 After you go through Hyder, Alaska you can drive to the Salmon Glacier. 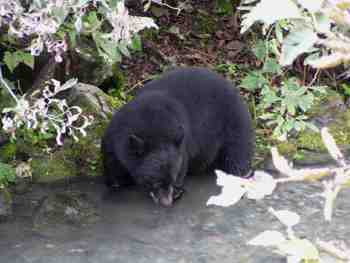 A few miles out of Hyder, there is a viewing facility at Fish Creek where the bears come to feed on the spawning salmon. 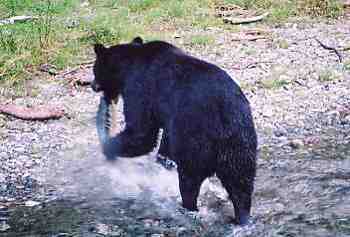 We watched this young black bear cub eating some fish scraps. 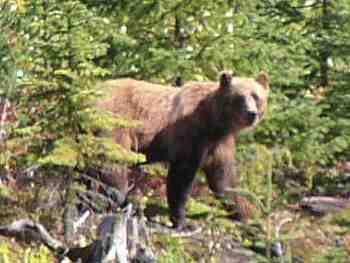 This grizzly bear came walking up the creek trying to catch a salmon. 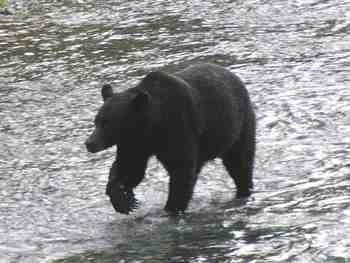 We saw the grizzly scoop a salmon out of the creek and then watched as he lay down on the bank and leisurely ate it.